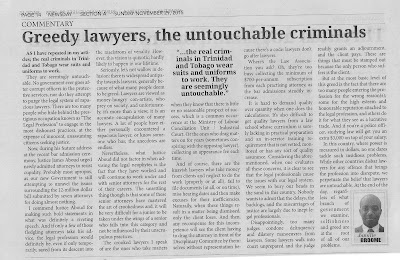 As you come here looking for legal information to guide you in your quest for justice, always remember that 99% of the lawyers out there are crooks. Be smart when choosing. 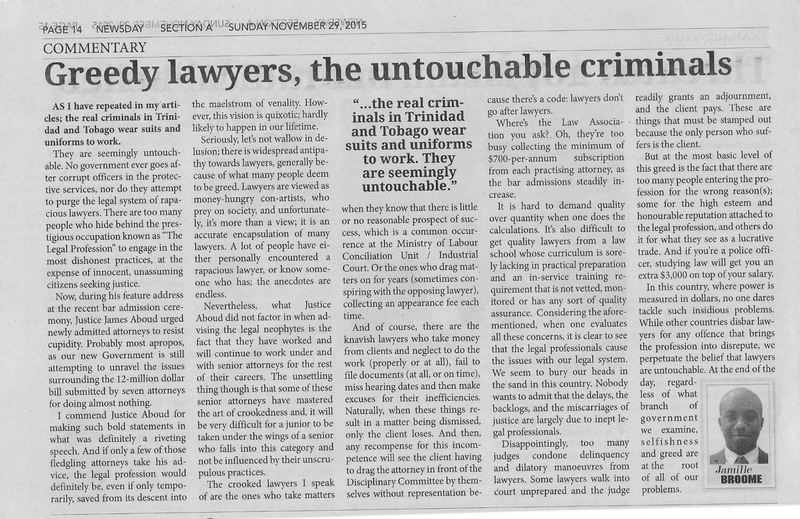 Cro-Cro relaying a "dream" about former Attorney-General, Ramesh Lawrence-Maharaj and the Dole Chadee gang.